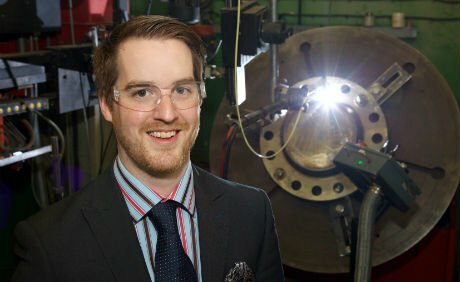 The Gloucestershire welding and fabrication specialist is one of the first SME manufacturing companies in the South West to achieve ready-to-supply status through the Fit For Nuclear programme. The Stonehouse company received guidance from the Manufacturing Advisory Service and the Nuclear AMRC on meeting the standards for supplying the nuclear sector. Arc worked closely with MAS over the last nine years and the company has increased its turnover by more than 250 per cent, more than doubled the workforce and taken on a number of apprentices. Director Andrew Robinson said: “Every project we have completed with MAS has improved the business. MAS joined forces with the Nuclear Advanced Manufacturing Research Centre to roll out Fit For Nuclear, backed by partners, including Areva and Gloucester-based EDF Energy. John Ruddleston, Fit For Nuclear Assessor in the South West, said: “Firms will have to demonstrate the right culture and behaviour, invest in training and achieve zero accidents in the production of their parts or delivery.